I’ve got no Klout? Gimme a break! I’m like a gangsta without a gun…I’ve got no Klout! I just created an account on Klout and was appalled to discover that I had an influence rating of 10. Mind you, the Klout measures influence on a scale from 1 to 100. So you can imagine my shock to learn that I had the influence of a kumquat. In my professional self, I regularly discuss influence as measured by services like PeerIndex, Twitalyzer and Klout, as points of reference for how individuals and entities can assess the impact of their social media. But I hadn’t thought of the type of influencer I was. I publish a blog for chrissakes! But of course I have influence! I’m registered with virtually every social media platform (of significance) under the sun. When I signed up with Klout, I registered my Facebook, Google+, Twitter, LinkedIn, YouTube, Flickr, WordPress and Instagram accounts. Even though I’ve got a Blogger and Tumblr account, I left those ones out because I rarely use them (but perhaps I’ll go back in an add those too….hmm). And every so often, folks comment on my blog posts, retweet my tweets, share my Facebook updates, watch my videos and generally seem to respond to my virtual ramblings. But clearly not enough for Klout to feel that I have real influence! Now I’m not really smarting about my dismal Klout rating. But it does present a compelling case study for how influential one really is online. Prior to registering with Klout, I had received numerous requests from friends and associates (via Facebook) to join Klout. To me, it was yet another app fracturing my attention online, that I would have to show some love. Unless, it’s one of those truly useful apps, that runs in the background, without you having to log in and actually do anything, and actually provides value, I’m sure it will go the way of many of the social media platforms/applications vying for users/user attention, and fall into obsolescence once the sheen wears off. 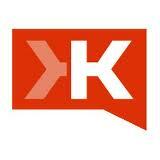 But who knows, I may find Klout truly useful and have a change of heart. Klout you’ve got some m*tha f*ckin’ nerve! PS If you’re within the sound of my blog, please throw some K’s on a bruh!